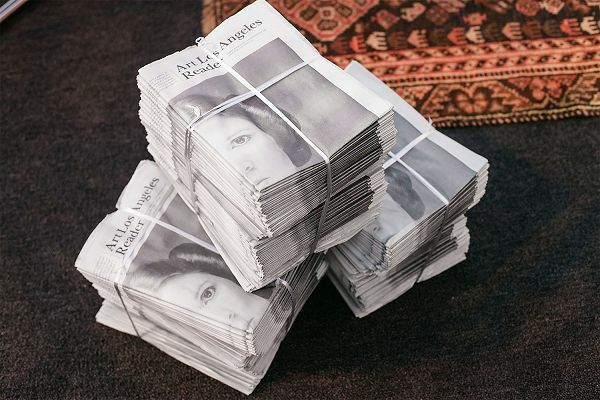 ALAC 2016 marks the release of the second issue of the Art Los Angeles Reader, the platform for established and emerging voices in art writing. The free art newspaper engages critically with art on-site and beyond, placing rigor and criticism alongside humor and celebration. The forthcoming second issue includes themed features and monographic essays by Los Angeles writers whose combined credits include Artforum, Art in America, Cabinet, Frieze, LA Weekly, and the Los Angeles Review of Books, as well as printed artist commissions and interviews with artists, curators and gallerists. The first issue, published in 2015, features written contributions from Travis Diehl, Jen Hutton, Julie Niemi, Kate Wolf, and issue editor Tracy Jeanne Rosenthal. Additional contributors included filmmaker Garrett Bradley and artist Richard Hawkins, whose image and text works were specially reconstructed for the issue. The Reader is published by Fair Grounds Associates on the occasion of Art Los Angeles Contemporary and is edited by Rosenthal, an artist and writer based in Los Angeles. She is the author of the chapbooks Ri Ri (Re)Vision (Publication Studio) and This Is The ENDD (Wilner Books), and her criticism appears regularly in Art in America, CARLA, and Rhizome.